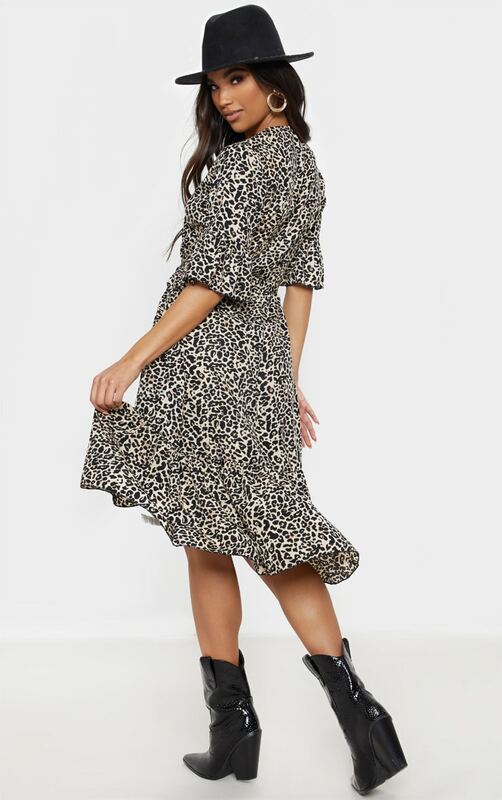 We are obsessing over all things animal right now and this dress is a serious wardrobe staple. 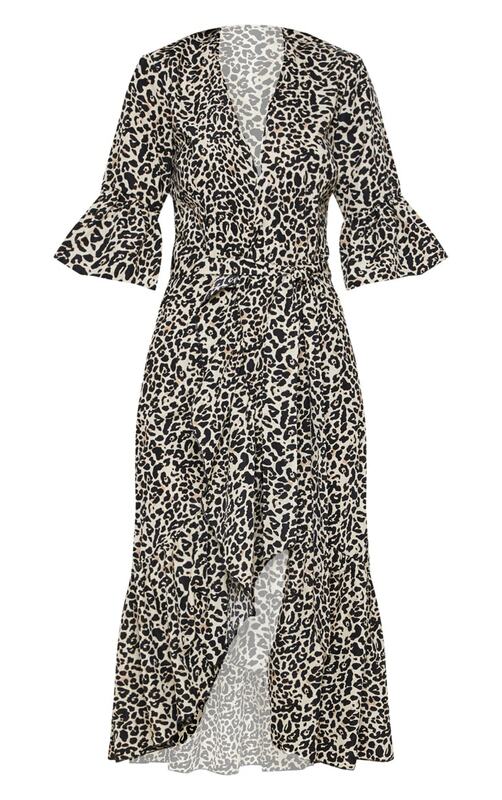 Featuring a beige leopard print fabric with a frill hem, wrap over style and midi length, what's not to love? Team with black boots and a leather jacket for a look we're loving.